In all Scotch libraries, the importance of providing students with rich media cannot be underestimated. Traditionally, the focus was to ensure that we provided students with good academic content in print and online form, but the prevalence of services such as Youtube means students now expect rich media to augment their reading. At Scotch we have worked hard to ensure that the subject area and the assessment we are providing is augmented with rich media in the form of video, audio or animation to help with understanding. The different databases our students use to find high quality academic sources often use video to support the written text, as a way to encapsulate different information while making it engaging, such as the results of a science experiment or a relevant documentary. Each format has its uses and particular departments are able to choose a delivery medium that best suits their purpose. The Scotch Science Department uses a service called TWIG to demonstrate various scientific concepts in concise three minute videos. This is used to support the written text to help students visualize that is happening within the given context. 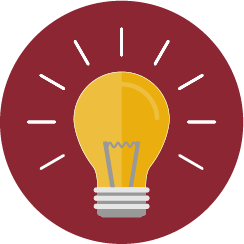 The library uses the same service to support student research requests, browsing the content and embedding the relevant clips into research guides connected to our LMS. In addition to TWIG, we use ClickView as a paid service that supports the uploading of free to air and paid content on various topics. The use of video means that when the library fulfills a request from a student or a staff member, we can go beyond the first source and consistently find that embedding this rich content enables our students to have the best chance to understand the information being presented. Another useful aspect of video is the ability to flip content to home. Class time is precious and the loss of this time in viewing video in class (especially such as feature films) can be reduced by having the video watched at home as homework. A film that would normally take 2 to 3 periods to view at school can be viewed at home in one evening. The library provides the service of segmenting the video (ensuring we don’t break copyright) and the teacher uses these parts to highlight the study content. The use of audio has been limited by the availability of content but in recent times - especially in the subject area of English - the movement to the use of audio books to support students studying a particular text has increased dramatically. The Scotch libraries have 12 iPods that can loaned out to students with required texts on them to ensure that those students are supported regardless of their learning situation. 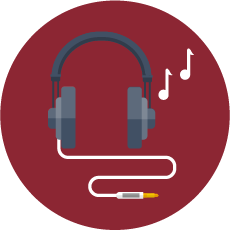 Audio in the form of BBC radio broadcasts or university lectures has also been used when creating research guides, these being embedded to help students obtain content from another source. Often this has been on topics of war or perhaps an interview that has not been transcribed into text. Rich media adds great value in the creation of a well-rounded set of resources for our students. The key is to embed this rich media into the pages or risk losing the students to other pages and distractions. Below are a few key tips and tricks I suggest for using rich media within your libraries. Always embed your media where possible. 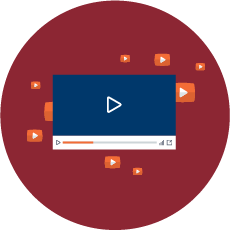 No matter the video source on the internet, 90% will supply embed code that will enable you to take that rich media and put it directly into your webpage. It is important to use this format, as you never break copyright by doing it this way. Always make sure you reference your embedded content. Often the embedded content does not link to the website from which it has been sourced, so if a student wants to reference or go to the original site they will be able to do so. Ensure that the quality of the embedding is a minimum 360p. Embedding media students might consider boring or low quality will quickly turn students off. When embedding, the display size is less important than the actual video quality. You will find that most sites allow the ability to customize the embed code. Make the most of what they provide, it makes less work for you. Use icons to symbolize the media type. At Scotch we use a picture of a pair of headphones when embedding audio files to signify that the file is audio only, because they may lack an embedded player. Future updates will explore the embedding of rich media in the forms of widgets and animations.